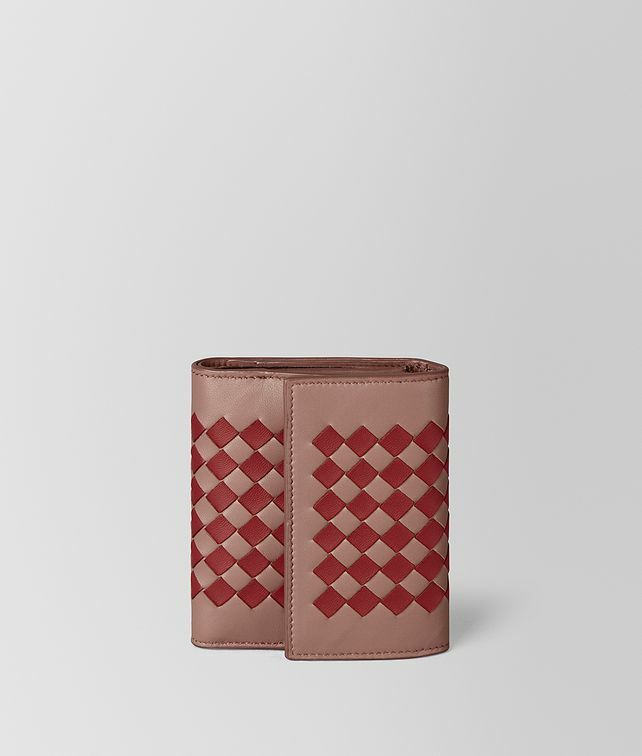 This mini wallet is crafted from soft nappa leather in the graphic Intrecciato Chequer workmanship. It features a smooth nappa interior that is fitted with six card slots, five compartments for storing notes and receipts and a zip coin pocket. Finished with a hidden snap-button fastener. Width: 11.2 cm | 4.4"